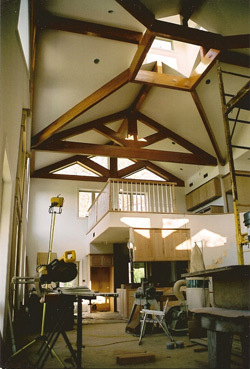 At Jeansonne Millwork we specialize in making your home as custom and unique as you are. We take pride in our work and leaving you with a custom, quality product. Jeansonne's customized wood features give your home a distinguished, natural essence that can't be paralleled by other companies. Our professional millworkers craft customized wood products that complement your home and reveal its beauty. Please review our services to gather an idea of how Jeansonne's Millwork can help you with your next woodworking project. We specialize in both interior and exterior millwork. Our craftsmen have been exciting clients with exceptional woodwork for over 35 years. We pride ourselves on excellence and consistently deliver tailor made wood features. Jeansonne Millwork has been serving Central Louisiana since our conception. We're now capable of providing our services Nationwide. Come let us work with you in making your house a home.